Traditionally, a Maryland power of attorney document dies with the principal, meaning that upon death, the power of attorney instrument ceases to have any effect. However, there are a few narrow exceptions that everyone should understand if they are considering getting a power of attorney. For help reviewing or understanding your own advanced planning directives, call the Law Offices of Todd K. Mohink, P.A. Even though a durable power of attorney will become void upon death, evidence of the named agent can be used to access final medical bills and records. So, if you are named the agent for someone under a durable power of attorney in Maryland, this may give you the right to access the person’s medical records and coroner reports. You may also be able to obtain a death certificate and other final reports. Even though the right to act on behalf of the principal may end with death, if there is a dispute over the validity of a will, evidence that you were named an agent under a durable power of attorney can be admitted as potential evidence. For instance, say your loved one named you as their agent but changed their will on their death-bed, giving everything to an unrelated close friend. The fact that you were the agent under the power of attorney might be admissible in a will contest to show that the person was potentially acting under duress or undue influence when changing the will. Technically this decision is made during life, usually through declaring yourself an organ donor with the DMV. But more specific issues relating to the disposition of bodily organs can be made by an agent under a power of attorney, if properly drafted and authorizing such actions. Again, technically this is a decision made during life. However, when a person enters a so-called “vegetative state” and doctors believe the person will never regain consciousness and regular functions, it is the right and responsibility of a named agent under a durable healthcare power of attorney to make this decision. Even though an agent may no longer be able to make decisions regarding the disposition of assets for a deceased person, a properly drafted power of attorney can sometimes allow the agent to obtain necessary items, such as tax documents and Social Security records that may be needed in order to handle final affairs. There are limits to this, and when in doubt a formal probate estate may need to be opened. Nevertheless, the important thing to remember is that a power of attorney can still have a few residual benefits of a power of attorney, even after death. 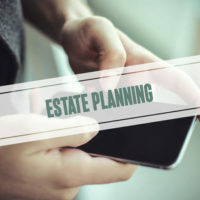 Think your estate plan may need an update? Call the Law Offices of Todd K. Mohink, P.A. in Maryland to discuss your options with an estate planning attorney.